Despite it being mid-Winter down under, we came across this delicious recipe on the Kinfolk Magazine website by Kelsey Brown and had to share it. Ginger, coconut and honey alone are a heavenly combination, as well as being packed full of antioxidants, antibacterial properties, electrolytes and more. 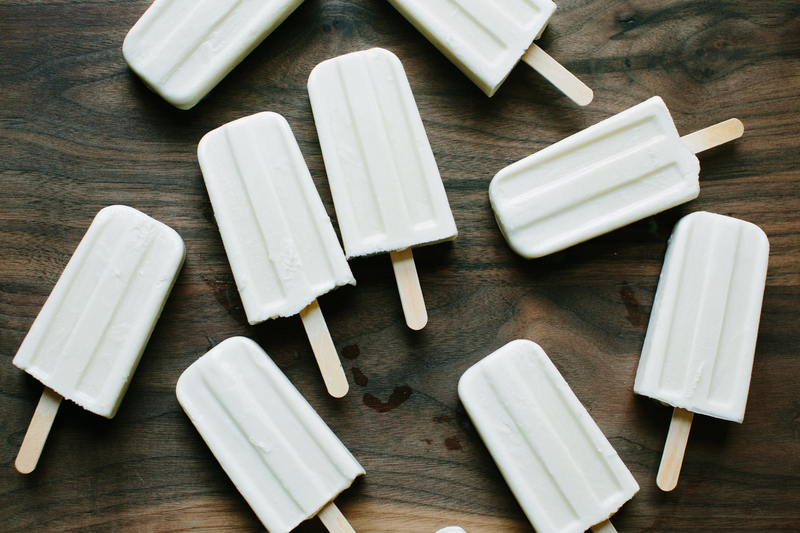 We can't wait until summer to test these sweet treats out. In a heavy-bottomed medium-size saucepan, stir together the coconut milk, ginger, and honey. Bring to a boil over medium-high heat, stirring occasionally, until the honey is completely dissolved. Reduce heat to low and simmer for 10 minutes to allow the ginger to infuse the mixture. Strain the mixture through a fine-mesh sieve, preferably into a large liquid measuring cup or other vessel with a lip (for easier pouring). Allow the mixture to cool to room temperature, then divide it evenly among popsicle molds. Cover the molds, insert sticks and freeze until firm. This recipe is vegetarian, gluten-free and dairy-free. Mm this recipe looks delicious!